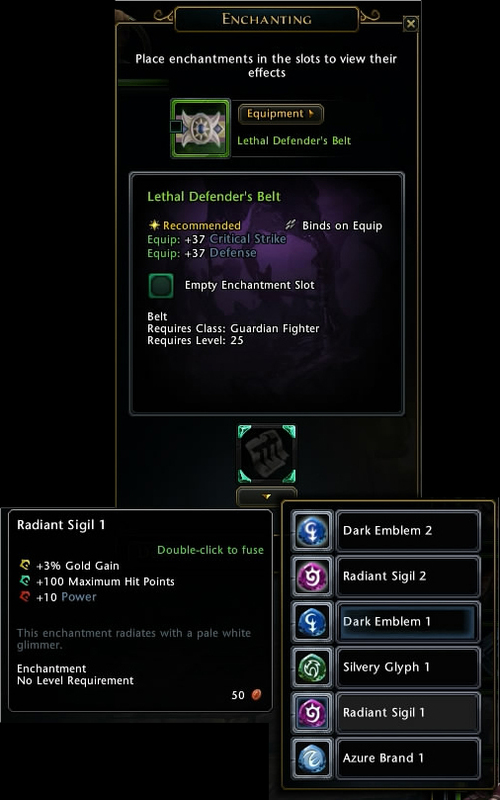 In the last Beta Weekend #3, I noticed many new players asking on the zone chat how enchanting works. So, I decided to make a guide about it, although is a quite simple process. So far, not all the items can be enchanted. Only items with an empty square can be enchanted. This might change when crafting professions would be introduced, but this is just a speculation. 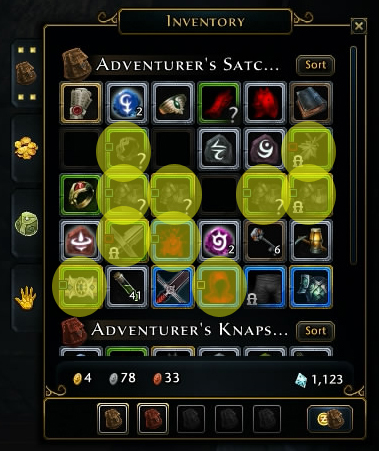 So to be able to enchant an item, the item should look like those marked ones (with a yellow circle) on your inventory, with an empty box on their icon to the left. These are the stones which will give bonuses to your item once it gets enchanted. They have different names based on the bonuses they provide and also come to different levels. 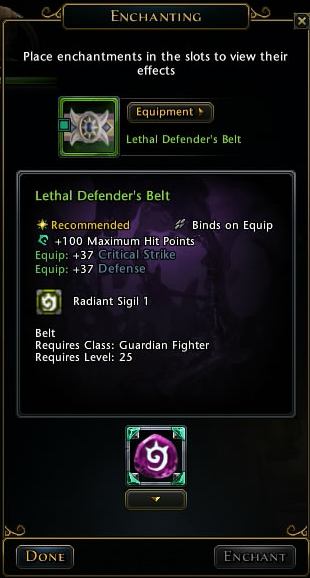 Higher level gives greater bonuses. Every stone has 3 different bonuses marked with 3 different colors; Red – Turquoise – Yellow. 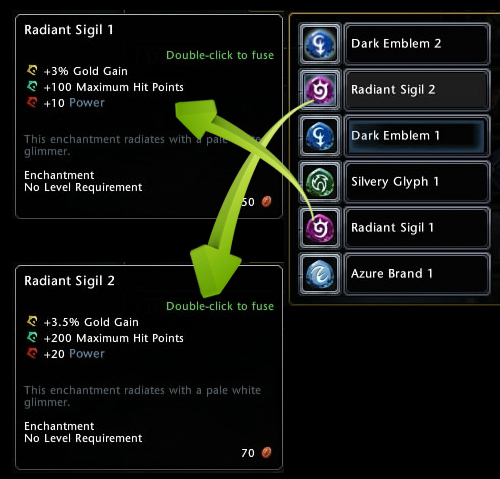 Only one of those bonuses will be enchanted into your item and needs to match the same color of the item’s empty box. In this example our item has a turquoise box, so from all our stones, only the turquoise effect can be enchanted into this specific item. 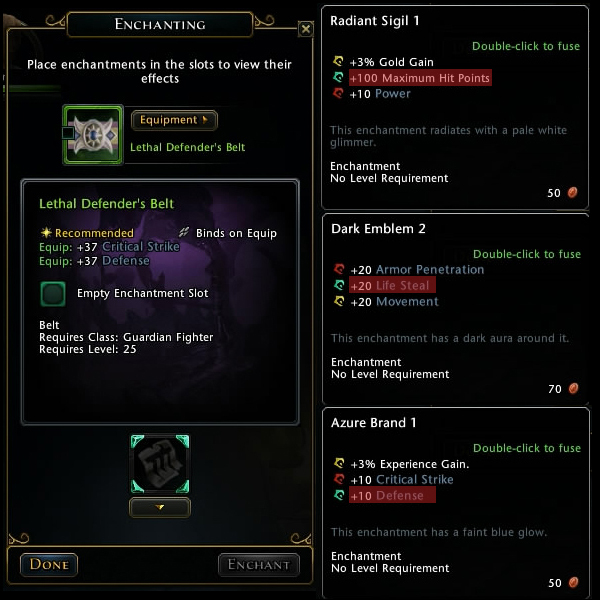 Right click on the desired item which you would like to enchant and select Enchant Item option. At the enchanting window, click the big square at the bottom. From there, you will get different options based on what kind of enchanted stones you will carry with you. Once you chose what you like select it. Once you made your choice press enchant to finish the process. At this point a window will pop-up, which will tell you how much astral diamonds the specific enchanted stone will require to get removed. This value can vary from the level of the stone as well as from the level of the item. Bear in mind that at the current state of the game, you can replace the enchanted stone with another one without removing the old enchantment. Simply, drag the desired stone from your inventory to the big box at the enchanted window and press enchant. So, basically, you can overwrite an existing stone with the new one with no cost.